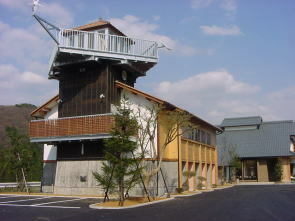 The E.E.I.C will carry out its activities in compliance with the principles of.To deepen the understanding of Environmental Education in the Echizen City region.To provide information in the field of Environmental Education.Activity in 2009.The lecture of the forest (SATOYAMA),the lecture of environmental education the Eco-tourism and the research of ecology. If there is the question. Please use an E-mail or FAX. The person in charge is Mr. Yoshiharu NAGANO (Technical officer). Copyright (c) 越前市エコビレッジ交流センター 2001 All Rights Reserved.